This has been a week of just keeping up with everything that is scheduled and filling in the free time with book work. It usually makes me a nervous wreck to have weeks like this and I am constantly trying to re-adjust our standard school schedule to make it fit better. I've decided the problem isn't the amount of book work we have scheduled or the activities, rather the problem with our schedule is the random appointments that seem to be more and more frequent. As part of my new attitude and acceptance that I am the parent of a chronically ill child, I am trying to not rush us through school to make up for the numerous appointments that cannot all be scheduled during our break weeks. There are also days, like this past week, where Amber will be sick from a food reaction and not up to as much book work as I'd like. I'm working very diligently on letting go of the anxiety over planned lessons that are not completed in the scheduled time frame. 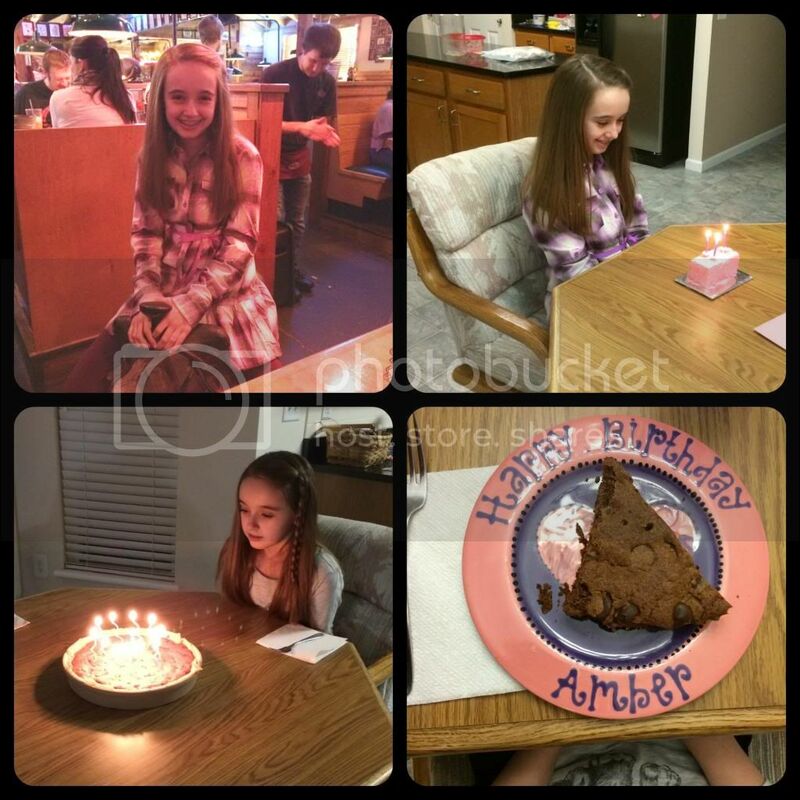 This past weekend was Amber's 12th birthday and the days were full of celebrations with various family members. Saturday evening Fred's parents took us all out to dinner and then followed us home for dessert and presents. Normally Fred's mom makes birthday dessert for us, but with Amber's restrictions I made it this year. My mother-in-law did make a stryofoam cake so that Amber could have a candle to blow out. It was very thoughtful of her to ensure that Amber got her candles this year. Sunday, was Amber's actual birthday, and we took her out for dinner along with my mom. The people at Stoney River knew that Amber couldn't have dessert, but they brought her a small slice of cake with a candle anyway. The server said, "The birthday wish is the important part, not the cake." I don't think Amber could have been happier. For Christmas, I gave Amber a set of coupons for a once a month "play day with Mom". No school or housework, only playing or shopping or whatever she wanted to do with me. Amber chose right away to use her January coupon on the day after her birthday. That was perfect because I planned to take her to the American Girl store to spend a gift card she had received and for a birthday lunch. The golden rule with food allergies: call in advance and go at off-peak times, meaning not on a Sunday which was her actual birthday. I called the main American Girl number on Saturday to make arrangements and I have to say they were absolutely wonderful. I only wanted to make sure we could get the side dish from one menu option with another main dish. Instead they put me intouch with the Bistro manager for our AG store. I was completely floored when the manager called me to arrange a menu for Amber. He planned out a special chicken, steak and potato dish that they do not normally serve. When we checked in at the Bistro on Monday he already had lunch started for us. In the end, he made so much food that it was more than enough for both of us to have lunch and Amber to have for dinner that night. (TOP Left) Hair style for Amber's newest doll. Sigh. The American Girl server also gave Amber some whipped topping with a candle to blow out as well as arranging for store workers to come sing Happy Birthday. (They also sang to another little girl who was celebrating her birthday). It was a lovely and special time at the store for Amber. I couldn't have imagined a better experience for her. They really do care about the girls who shop in the store. Tuesday was another set of BIG appointments for Amber. She got her braces off!! The orthodontist visit last week was her last with braces and the orthodontist had us schedule her removal appointment. Amber had the braces removed early in the morning and then we returned later in the afternoon for her retainers that were made in the office. The first set of retainers is a molded clear top and bottom that she wears all the time unless eating. Next month she will get the standard wire bottom retainer, but will keep the molded top retainer while we wait for her 12 year old molars to drop in. (RIGHT) Picture by Mommy. My sister says Amber hasn't looked that happy in a while. 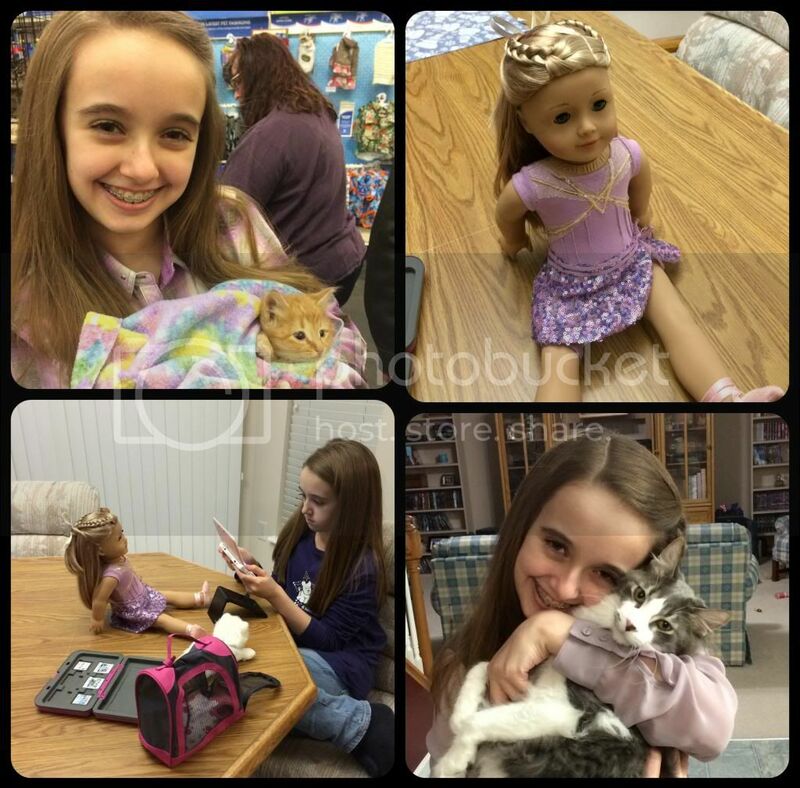 The weather here finally allowed us to have activities this week, so all of Amber's old and new activities began. Amber actually missed her bells practice on Monday. We planned to have lunch and shopping at the AG store, then go to bells practice. Unfortunately, by the time we left AG it was clear that I messed up over the weekend with Amber's diet. I suspected there was a problem before we went to AG, but afterwards Amber was not up for much besides resting. I'm still not sure what the culprit was because I let her have 60% cacao chips in her cake and iced tea with with sugar at every restaurant. The chips, the tea, or the sugar load could have done it. At any rate, Amber ended up with an intestinal clean out earlier this week and missed her bells practice. Flute went on like normal and Amber is progressing well. The new art session at the Painted Pot began too and the girls are working on textures and designs this session. The new art class with the homeschool group began on Thursday too. It was a huge hit with Amber. This was our very first experience with a homeschool group, and they are a new group too. We know other homeschool families, but have never participated in group activities. I stayed around to talk and meet some of the parents. It was an enjoyable experience for us both and I hope it continues to go well. Amber was so enamored with the class that we have already signed up to attend the group's Valentine's Day party. (TOP LEFT) Amber with "Sven", a rescued kitten from a little with Frozen themed names. Amber pets the foster kitties every week. (TOP RIGHT) American Girl doll of the year - Isabelle, the dancer. 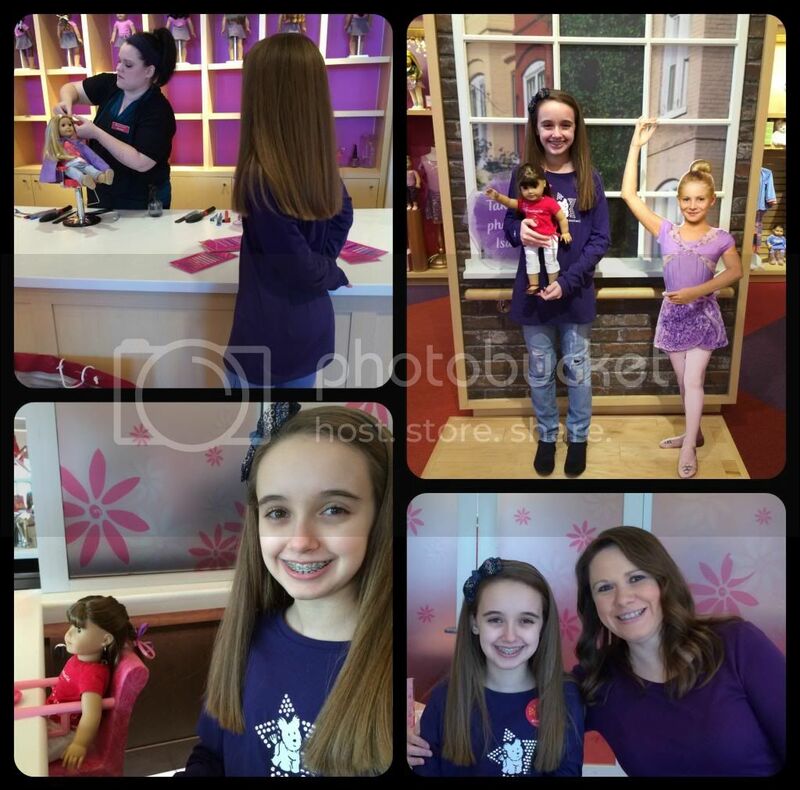 Yes, Amber managed to get her 8th American Girl doll this week. (BOTTOM LEFT) Her favorite birthday gifts - American Girl "stuff" and a new 3DS to replace her aging DS Lite. (BOTTOM RIGHT) A birthday girl and her favorite kitty. Amber's first band practice was also on Thursday and she absolutely LOVED band. Originally, I attempted to sign Amber up for beginner band because she has only been playing the flute for 5 months. However, Amber's flute instructor is the artistic director of the arts center and she felt that Amber was beyond beginner band and belonged in concert band. So, we let Amber try the concert band. Amber said she was a little behind the kids in band, especially as they have already been working together for a semester. However, after some discussion with the actual band director it was decided that Amber indeed could hold her own and belonged in concert band. Amber enjoyed her activities on Thursday so much that she talked nonstop about the day during and after dinner. Never did the smile leave her face. In fact at bedtime she declared the day to be "birthday good". Wow, that's a great day when it is as good as a birthday. I hope the activities live up to being "birthday good" every week, or at least good enough to get over the loss of dance. (TOP LEFT) Amber's art project from the homeschool group class. Surrealism. Amber used one of her earrings as a landscape for people. (TOP RIGHT) Lots of flute practice this week in preparation for band. (BOTTOM) Amber got the Dragonology book this week with a birthday gift card. 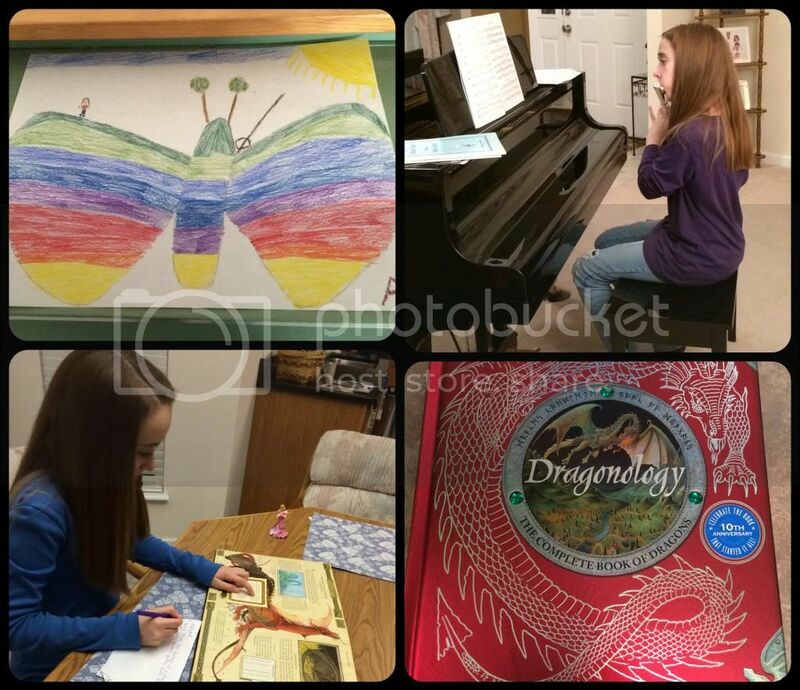 She loves dragons and has been inspired by the book to come up with her own entries on dragons. We did go ahead and join the local city gym / rec center so Amber and Fred both can get some exercise. Neither of them are fond of the equipment in our basement, while I prefer to exercise at home. So, next week we will try to also incorporate walking in our school schedule, because I don't have enough schedule problems already. Between all the goings on this week Amber did manage quite a bit of book work in all of her subjects and even began the new logic curriculum. Part of me still worries about the book work, but like a veteran homeschool mom told me this week, "Book work will find a time to happen." She was right. I may have to adjust my thinking and let Amber finish school work while I make dinner or do a little bit of work on weekends, but it will happen. Amber is certainly getting more out of school at home than she would if I had to constantly remove her from parochial school for all of the appointments. Next week is another full week with activities, one last birthday celebration and, of course, more appointments. A quick glance at our calendar shows that Amber has appointments every week through at least mid-March. I'm sure more will come up as many of those appointments are reoccurring and we only schedule them one at a time. What a full and abundant opportunities you are giving Amber. She will be very well rounded when she is grown up. I know dance was a hard loss. I hope her weeks are birthday good for the rest of the school year! We do not live near an AG store, but have found the staff wonderful on the phone. It's so good to see and hear how happy Amber is and how good she's feeling! I'm stealing Amber's term, "Birthday good" to describe Bethany's first session of Flash Club. I hope she's just as thrilled with it tomorrow- minus the "class over" drama! I know that "how can we homeschool if we're never home" feeling. I suspect that Amber is learning more than you know through her experiences. I'll bet you could translate what she's learned into academics too! 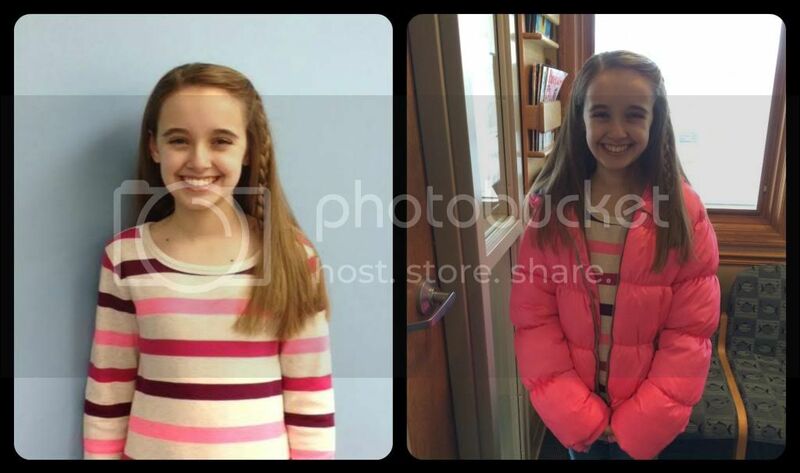 Christy -- Amber looks so beautiful with her braces off! That's a huge milestone right there. :-) I am so happy you all had a great experience at the AG store... what an awesome thing for that chef to do for Amber. I admire how you are trying not to stress about missed work, etc... I think the important thing is that Amber is learning (which she obviously IS) and if some book work is missed or put off, then so be it. Some things are just more important, right? You are so right. Thanks for the encouragement. I've been reading your blog for a while and I just wanted to say what a great job you do raising Amber! As someone with a chronic illness as well, I know how great it is to have a support system like you are for her.